The 11th Routes Africa will be hosted by Ghana Airports Company. 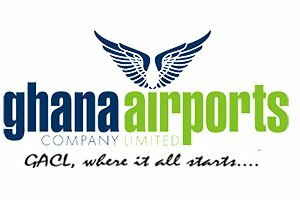 The company was registered in January 2006 with specific responsibility for planning, developing, managing and maintaining all airports and aerodromes in Ghana including Kotoka International Airport (KIA), Kumasi International Airport, Tamale Airport, Sunyani Airport, HO Airport, WA Airstrip as well as various Airstrips. GACL is an implementing agency under the Ministry of Transport. The Company commenced business on 1st January 2007. The vision of the Ghana Airports Company Limited (GACL) is to position Ghana as the preferred aviation hub and leader in Airport business in West Africa; with the mission to provide world-class airport facilities and services for the benefit of all stakeholders. The Kotoka International Airport (KIA), and three domestic airports at Kumasi, Tamale and Sunyani operate under GACL. Although some of these airports have been rehabilitated or expanded, traffic throughput far exceeds the design capacity of the airports, which stifles potential growth in the sector. GACL is therefore undertaking a Capital Investment Program (CIP) aimed at building new airport infrastructure in order to increase the capacity of the airports. The CIP derives from the Ghana National Airport System Plan (NASP), developed with the aim of supporting Government policy for an integrated and strategic approach to planning and developing air transport infrastructure services in Ghana.